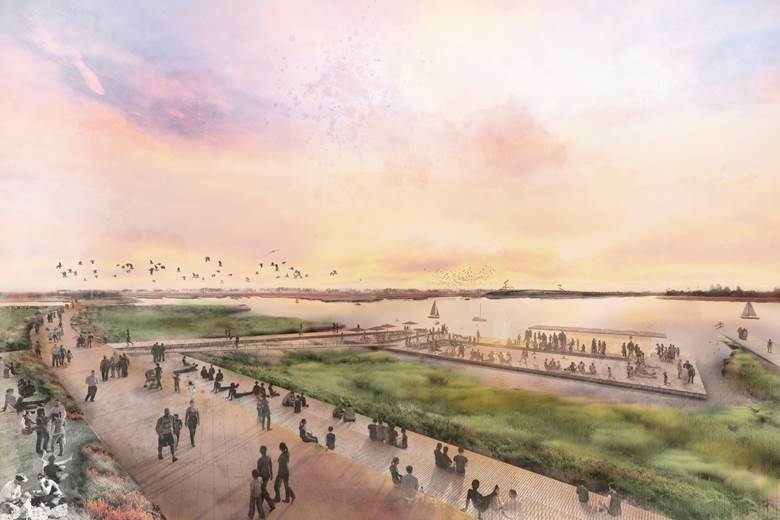 Join CSI East Bay-Oakland for our February chapter meeting, featuring a presentation titled “Resilient by Design San Leandro Bay”, presented by Stephen Engblom & Claire Bonham-Carter, AECOM. Claire Bonham-Carter is a Principal with AECOM with over 18 years of experience working tirelessly to help address climate change with public and private sector clients. She specializes in climate vulnerability and risk assessments and adaptation planning for cities and public sector agencies, with projects locally for clients such as the cities of San Francisco and Oakland, Santa Clara County, MTC, BCDC and Caltrans. Claire manages AECOM’s work with the Rockefeller Foundation 100 Resilient Cities Program, for whom AECOM is working with 30 cities around the world to develop a resilience strategy, now actively working on strategies for Honolulu, Vancouver and Miami. Claire also managed AECOM’s Resilient by Design Challenge team, the All Bay Collective, on their project for San Leandro Bay.